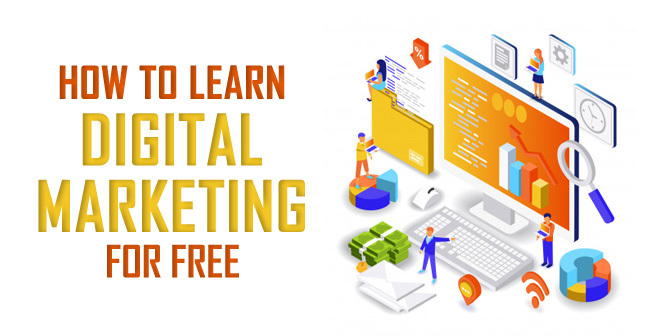 How Can I Learn Digital Marketing for Free? If you’re planning to jumpstart your career into the creative and complex world of digital marketing, the best time is NOW. Because nowadays, may it be social media, search engines, websites, or even e-mails, they’re actually all over the world and there’s basically no way of getting away from it all. So why not learn from them that run away? 1. If you want to learn digital marketing, you have to understand its entirety. Digital marketing is one of the most challenging yet exciting and fast-paced industry, so you really have to be prepared for a career that will definitely keep you on your toes for DAYS. You have to understand that it’s broad – it ranges from content strategizing to graphic designing and web or app development and everything between all these. If you want to learn digital marketing, you have to the objective of using one channel to another. 4. You must be eager to learn. We all know Digital Marketing is broad. It’s huge. It’s complex. But its complexity makes it more interesting and exciting. So it’s important that you are 101% determined to conquer every aspect of it. 5. Get ready to make mistakes. The most successful digital marketers are those who failed countless times. The irony, huh? As I said, this industry is rapidly changing and you always need to get the hang of it. Either you let go and forget about your dreams or you hold on and use your mistakes to improve your works. At this age, new learnings and knowledge are just a few clicks away. And some don’t even require you to pay even a just a dollar. So if you’re asking if you can learn digital marketing for FREE then the answer is YES, YOU DEFINITELY CAN. free so why not take advantage of it? Now, you’ve got no more excuses. We’ve provided you the basics of what you need to know if you want to pursue a career in digital marketing. So, what are you waiting for? Welcome to the Digital Marketing World. You’re in for a ride. Ready to buckle up?